Black Friday. Cyber Monday. After-hours convenience. Price. Easy/free shipping. All are huge motivators driving people from brick-and-mortar stores to the ease and convenience of online retail. The trend lines are unmistakable. 2018 promises to be another transformational year for eCommerce at holiday time, with many experts predicting double digit increases in online holiday shopping. Billions of dollars will be up for grabs. PPC pros have an unprecedented opportunity to be real heroes this year by making sure their company wins more than its share of the shopping frenzy. Working in your favor, holiday shopping is always ripe with intent and immediacy. First, let’s briefly recap the ongoing rapid evolution of the tools at our disposal. Google and Bing are both continually enhancing shopping tools to drive that high-intent searcher to conversion. They have added core automation to streamline the basics of PPC and more advanced tools such as Shopping Ads. Focusing specifically on the Google platform (but still keeping in mind Bing is remarkably Google’esque with PPC), we all know the greater the specificity of a person’s search, the greater the intent. “Men’s black analog diving watches” tells the Google machine a lot about the searcher’s eagerness. Google can serve up engaging Shopping Ads featuring cool black diving watches to capture eagerness to purchase, serving product-specific ads with click-to-buy ease. The holiday shopper doing more casual digital window shopping, however, will offer less specific searches such as “Men’s watches” or more vague “gift ideas for dads.” While vague, that shopper likely WANTS to get into a funnel and may need just a little prodding to convert. 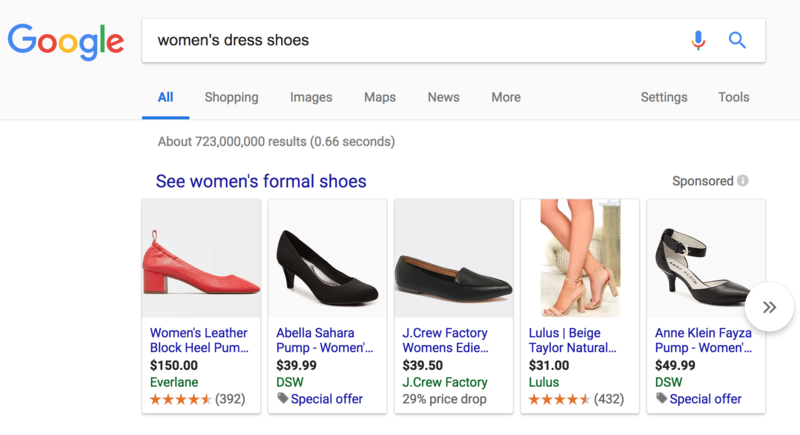 In this less-specific search, Shopping Ads and Google’s Showcase Shopping Ads can create immersive and meaningful experiences for people browsing for that perfect gift. If you haven’t dabbled yet with Showcase Shopping Ads, perhaps you should. They provide pre-click browsing of your products to generate purchase ideas based on more general searches. Previously, PPC pros didn’t have a lot of power to draw casual browsers into their funnel. Showcase Ads are an inexpensive option to meaningfully engage shoppers of modest intent – particularly those meandering for ideas on a mobile device. While Google and Bing do a good job automating core aspects of search ads for everyday PPC practitioners, the PPC rockstar needs tools like Optmyzr to take their game to new levels. The goal is beating competitors in the second-by-second, search-by-search battle for holiday sales. The Optmyzr system gives you greater control and automation beyond what Google and Bing offer – and it’s all managed from a single interface. Everything from building campaigns, syncing with inventory, and managing bids to choosing your preferred mix of automation/manual intervention. Campaign Builder greatly simplifies and automates creation of product group and other campaign structures. Tapping data in your merchant feed, this tool helps automatically align structures by category and craft groups by brand, product type, etc. Campaign Builder’s easy-to-use interface gives you greater control and flexibility to analyze structures to refine and improve them prior to launch. It will also flag gaps in structure that could negatively impact reporting and analysis downstream. In other words, you catch the clunky, annoying misses that would otherwise create headaches or hamper insight after the fact. Next, let’s talk inventory. Retailers have greater opportunity to serve up ads based on actual inventory – you know…the stuff you have on hand and want/need to sell. Whether you sell cars or speciality holiday dresses or sporting goods, accurate inventory data fed into Optmyzr allows efficient set up and management of hundreds of potential rules and parameters to serve the right ad at the right time. Through rules and automation, you can streamline processes to serve ads based on highly specific product attributes – size, color, style, tech specs. Essentially, if you have data about the products, Optmyzr drives powerful tools to serve the ads aligned with that highly specific search. Finally, let’s cover bid management. This is where a third-party tool like Optmyzr layers exceptional power on top of the standard automations from the search engines. The day-to-day task of managing bids can be horribly time consuming, but it’s really at the heart of taking campaigns from basic to extraordinary. For those who need to manage basic modifications in bulk – such as blanket modifications across a product group, our Shopping Bidder tool allows a PPC pro to do that in minutes. PPC pros, however, often want/need to make decisions at a much more granular level. Shopping Attribute Bidder taps data from Google Ads and specific attributes in your merchant feed. This combination deepens the ability for PPC pros to make different bids to accommodate variations based on any number of attributes. You’ll want to read up on GrIP structures to get the most bang for your buck with Shopping Attribute Bidder. Finally, Optmyzr Rule Engine is an extremely powerful tool in the hands of a PPC rockstar. With this proprietary tool, it’s really quite easy to adjust bids based on deep data points, such as conversion, CPA, ROAS and others. Among the most versatile tools in the PPC toolbox, you can automate bidding structures across pre-set parameters. Big snowstorm about to hit the northeast? Bids can automatically adjust to push snow blowers or skis. July heatwave predicted in the midwest? Rule Engine can push window air conditioners in Milwaukee, Madison and Minneapolis. You can set those rules up well in advance to automate against countless eventualities. Holiday shopping season always puts eCommerce topics to top-of-mind, so it’s always a great opportunity to talk about Shopping Ads and powerful bidding tools. Of course, we all want to capitalize on the November-December gift buying frenzy, but these tools are 12-month necessities to allow PPC pros to beat the competition. People are out there searching for your products/services right now. Make sure they find you before they find your competitor. Of course, if you want a free 14-day trial or demo, just let us know.